Are there any pro-shot shows available from the 2014-16 period (apart from the officially released Havana show)? Thanks Eddie. Got Glasto and Hyde Park. Thought they would have filmed some more shows. Oh well! Thought they would have filmed some more shows. It seems they have also filmed the Argentinian tour dates, because they showed two full-length performances as bonus at the one-night-only US-theatrical-release for the Olé-Documentary: [www.rollingstones.com] . I hope they release some day a compilation of the 3 Argetinian shows! Cheers Irix. Sounds like the Fonda Theatre show may be future official release. The Rolling Stones Olé Olé Olé! : A Trip Across Latin America will be released on DVD with an 53m:32s Bonus: [www.fsk.de] . There's no release date yet, but it will certainly be published soon. GREAT news! thanks for telling us Irix! There were signs/bills (? what's the word) at the venue telling the audience this show was filmed and it could be used for release in the future. Berlin 2014 was pro-shot. There were signs/bills (? what's the word) at the venue telling the audience this show was filmed and it could be used for release in the future. These signs were (almost) in every venue on the 14-on-Fire Tour, not only in Berlin. The Rolling Stones Olé Olé Olé! : A Trip Across Latin America will be released on DVD by Eagle Rock on 12-May-2017. Wonderful! Can't wait for it! Edited 2 time(s). Last edit at 2017-05-16 20:25 by Irix. 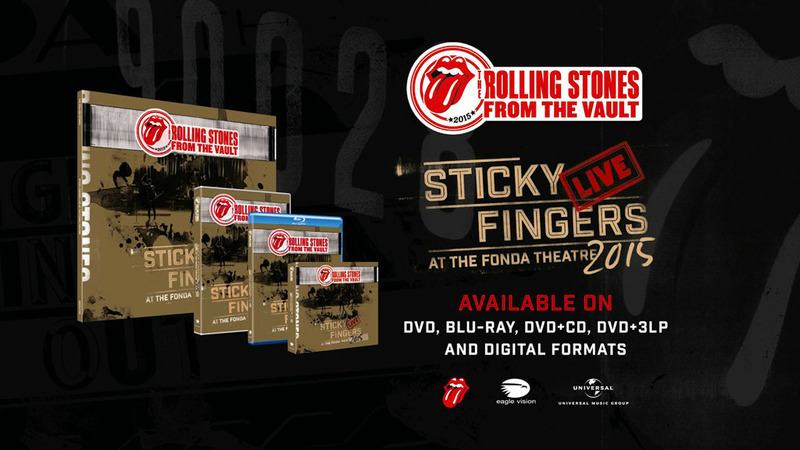 Rolling Stones - Sticky Fingers Live At The Fonda Theatre will be released on DVD/BR by Eagle Rock soon. Source: [www.FSK.de] (german Film classification, age rating).